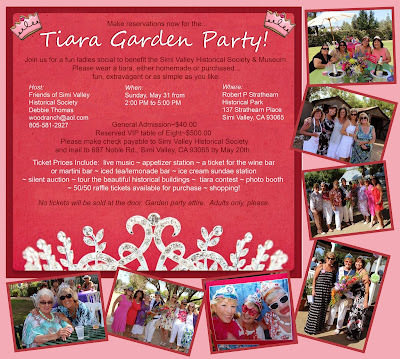 I'm very pleased to announce that The Vintage Purse Gallery will be exhibiting some of its purses at this year's Tiara Garden Party, a fundraiser to benefit the Simi Valley Historical Society & Museum. I'll be on hand to share and discuss the purse collection in the parlor of the historical Strathearn House. 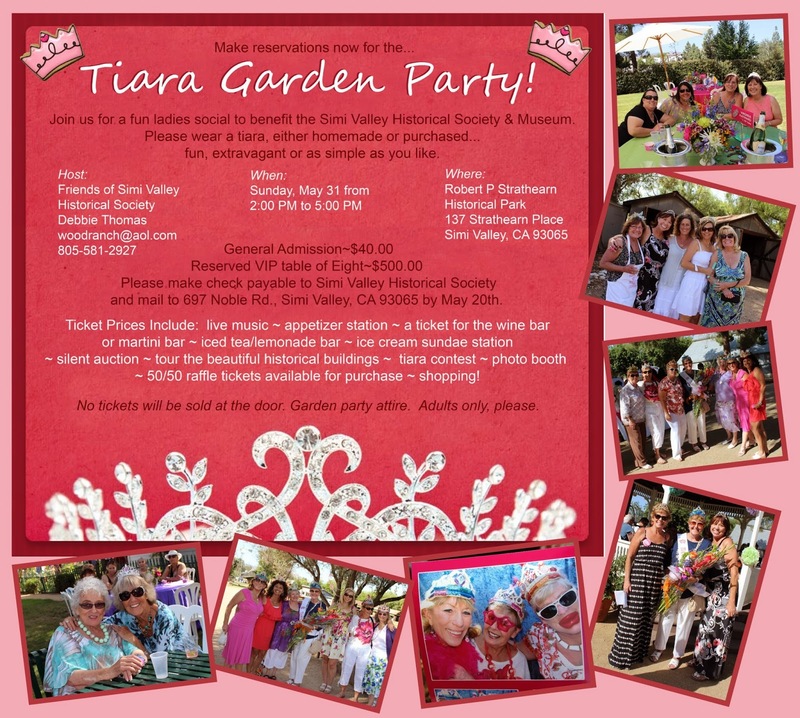 This event is near and dear to me as I did my Art Museum and Gallery Studies internships at the Strathearn Park and Museum and am very grateful to the Simi Valley Historical Society for the opportunity. Looking forward to seeing you there! Click here for ticket info.